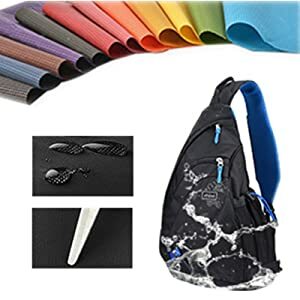 DURABLE - You will love this amazing new single strap shoulder backpack travel bag, made of 603D waterproof polyester fiber with padded nylon lining. Strong SBS Brand Zipper, Precise Seam and Reinforced Bartack process make it super durable. COMFORTABLE - Padded ventilating back with ergonomic design for comfort. 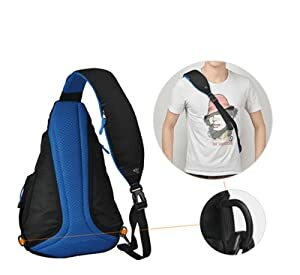 Fully adjustable padded single shoulder strap allows this bag to fit most people. Easily Changeable Strap Direction according to your preference. 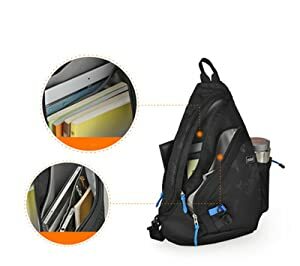 MULTI COMPARTMENTS - Travel in style with excellent large and small zippered compartments to hold wallets, tickets, passport, smart phone, keys, and personal items. Strong non-rusting hardware, mesh water bottle holder, key rings, hanger loop. 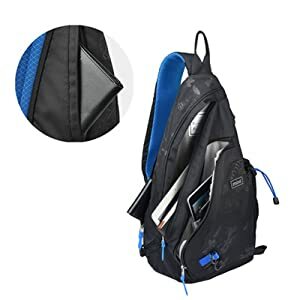 Equipped with a hidden anti-theft pocket that let's you store your valuables safely. VERSATILE - It's compact and convenient. 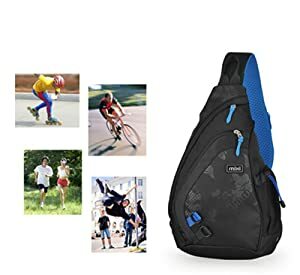 Perfectly ideal for service as bookbag, rucksack schoolbag, casual daypack for daily use at school, work, weekend getaway, occasional travel, gyms, cycling, hiking etc. Over the shoulder and out the door! THREE SIZES: 17" - 16.7 x 10.2 x 4.7 inches (H x L x W); 19" - 18.7 x 11.8 x 5.1 inches (H x L x W). The 17” bag can hold iPad or small Tablet such as Samsung Tab ( Will Not fits Laptop). The 19” bag can hold iPad, small Tablet, small laptop (up to 12") & A9 Paper.